The Yamaha YPC82 Professional Piccolo is handcrafted from select grenadilla wood and features a Sterling Silver headjoint. This model is finished with silver plating and comes with nickel silver keys. The YPC82 is ideal for the professional player and offers a ribbed key post construction, for a stronger body and more accurate key action. The split E mechanism produces a clear and responsive high E, while the tone holes have improved the intonation and response as the airflow is much smoother. Double bladder pads enable a much longer life as well as better seating. The Yamaha YPC82 Piccolo comes equipped with a wood case and care kit. The Yamaha YPC82 Piccolo is handcrafted from select grenadilla wood, along with a Sterling Silver headjoint and nickel silver keys. The ribbed key post construction gives the design a much stronger body and accurate key action. A split E mechanism produces a clear and responsive high E. As well as this, the piccolo features undercut tone holes that offer an improved intonation and response. Yamaha has also added double bladder pads to the design, for a longer life and better seating. 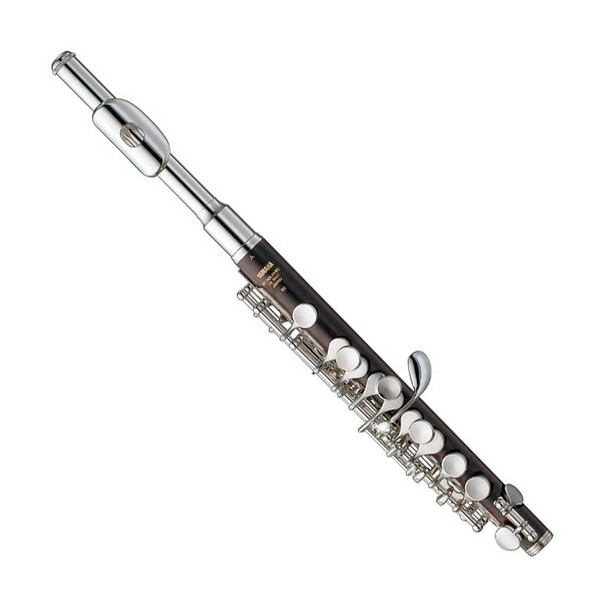 The YPC82 Piccolo comes equipped with a wood case which is ideal for travelling players. Whether you're going to school, rehearsal, gigs or concerts, this case will protect your instrument from scratches and knocks, keeping it looking, feeling, and sounding like new for longer. As well as this protective case, the piccolo also comes with a care kit, so players can maintain the high standards of their instrument for many years.